Multiple women have come forward accusing tech evangelist Robert Scoble of sexual harassment and assault. His former Rackspace colleague Michelle Greer and journalist Quinn Norton both accused Scoble of groping them in the early 2010s. 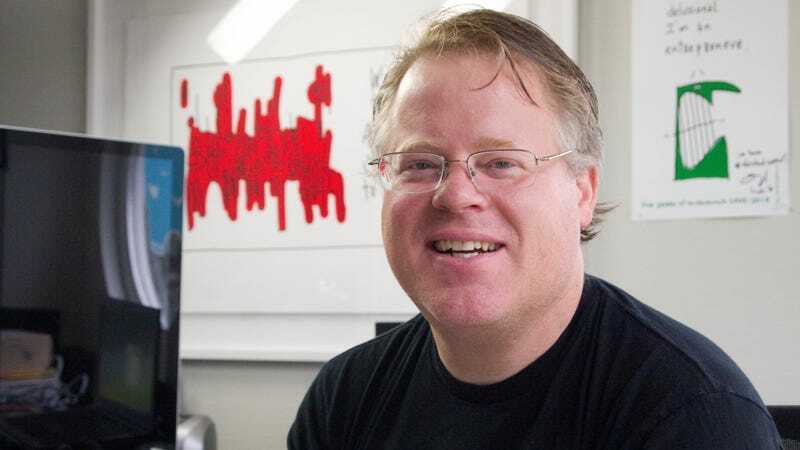 Scoble responded to the accusations in an interview with USA Today, alleging that the sexual harassment happened at a time when he was struggling with a drinking problem, which he ultimately went to AA for in 2015. But, following this claim, more women came forward, claiming that Scoble harassed them after he announced he was seeking help for his alcohol addiction. Two women told TechCrunch the harassment continued. What’s more, Sarah Seitz, an analyst at NASA, responded to Norton’s Medium post alleging that Scoble propositioned her for an affair “a year and a half ago,” which would fall after Scoble’s announcement that he was entering AA. Scoble responded to the continued allegations in a since-deleted Facebook post immediately following TechCrunch’s article. But Scoble’s air of culpability was fleeting—on Wednesday, he penned a lengthy blog post addressing the allegations. To call it an apology letter would be generous. In the post, Scoble details each woman’s account from his perspective, against the wishes of his attorney, in an apparent attempt to discredit and undermine each of their allegations. He presents a dangerously flawed understanding of what sexual harassment even is, insinuating that sexual harassment requires that a person be in a position of power. Emphasis ours. If I were guilty of all the things said about me I would still not be in a position to have sexually harassed anyone. I don’t have employees, I don’t cut checks for investment. None of the women who came forward were ever in a position where I could make or break their careers. Sexual Harassment requires that I have such power. That is not to say that the allegations aren’t serious. I take them very seriously, but it is to say that, TechCrunch, Business Insider and others, in their rush to publish ClickBait were so obviously flawed that it is clear they no longer care about the truth or doing actual journalism. Scoble applies a very narrow definition of what sexual harassment is based on a complete misconception of the power dynamics of sexual harassment. Somehow he believes that if he was not in a place to professionally retaliate against the women he abused, it didn’t constitute harassment. That is fundamentally incorrect. While fear of retaliation is certainly a reason many women may hesitate to come forward with allegations of abuse, to believe that a person has to have the capacity to ruin your career in order to be an abuser is false. We have reached out to Scoble for comment. My point was less about the definition, and more about the fact that in doing diligence BI and TC should have checked the definition. The legal definition requires things that are not alleged by the women who accused me, and the only one of them that used the term was Norton, and she didn’t use it to describe my alleged interaction with her, but with another CEO. If BI ran a story that a CEO endorsed online gambling, but what he had endorsed was bitcoin, it doesn’t matter if the journalist views them as the same thing, that is not the appropriate term. Victims are harmed when the terms are conflated. It is abhorrent to be raped, and it is abhorrent to be sexually harassed. They are on a spectrum of severity but the terms are not interchangeable. Nor is misconduct, assault, or battery. Each has a specific meaning. People have focused on me calling out that the definition doesn’t match the accusations more than the fact that the accusations were false, but the primary point of that paragraph was to point out that BI and TC should not have been so reckless with headlines that couldn’t be true even if all the accounts were, (which they aren’t).